Advanced Air Services is your solution for keeping your home in Pennsylvania/Maryland warm andcomfortable, trust the experts! Our technicians are equipped with the best products and can help you identify the most affordable and energy-efficient way to heat your home. We are looking forward to serving you and hopefully making you a customer for life. Heat pumps can be the way to go with energy cost rising, Advanced Air Services is determined more than ever to find ways to save you money on your heating bills. When it comes to cooling AND heating your home, we can’t say enough good things about the heat pump system! A major benefit to installing a heat pump is that you don’t have to purchase, install, repair, and maintain two HVAC systems (one for heating and one for cooling)! With a heat pump systemyou can have it all with one convenient, energy-efficient unit? If it’s cold outside a heat pump extracts the outside heat and transfers it inside. When it's warm outside, it reverses directions and acts like an air conditioner, removing heat from your home. One benefit of a heat pump is that it moves heat instead of generating heat, giving you more energy efficient system. Therefore, if you currently heat and cool with electricity, a heat pump can save you as much as 30-40% on your energy bill. 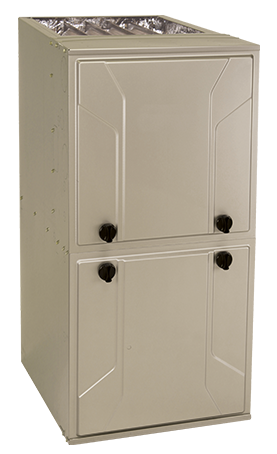 For dependable heating all winter long, you can’t go wrong with a furnace as a heating system. Advanced Air Services is ready to help you if you’re looking to replace your old, aging system!! We will install the most advanced heating products designed to save you money while keeping you comfortable, whether you’re looking for a gas furnace, propane furnace, or variable speed furnace. Let is help you choose the right system for your home’s needs—based on your square footage, lifestyle habits, and more. We are also here to help when the time comes for a repair or tune-up on your furnace. We are stocked with the most common furnace repair parts, that way your never have to worry about sitting in the cold for long when you call for repairs or maintenance. Don’t forget to sign up for our Maintenance agreementto get priority service and 10 percent off all HVAC repairs. You’ll be grateful you did! Winters in our region can generally expect a mild winter, but at the same time wecan experience some extreme low temperatures during the winter months that are extremely frigid. For extreme cold, installing a hybrid heating system, is recommend because combines the strengths of both gas and electric heat sources. Hybrid heating system also referred to as dual fuel, includes each a gas furnace and a heat pump system. It’s designed to adjust to temperature changes, thus the system will automatically switch to the most cost-effective fuel source for the present outdoor conditions. If you are concerned about fuel consumption, a hybrid heating system is a great solution!! Contact us today at 717-762-8800 for a free estimate! 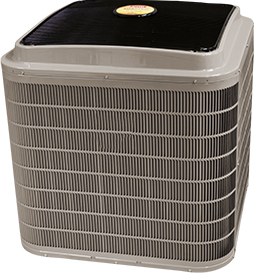 For dependable HVAC experts for your residential heating needs – contact Advanced Air Services. We take pride in keeping your family warm and comfortable all winter long. We listen to our customers, helping to come up with the best solutions together for heating your home. Customer service is our priority!! Your happy then were happy!! To learn more about our heating services or to schedule an appointment - call 717-762-8800! Experience the Advanced Air Services difference. Where customer service is our number one priority!!! Or certified technicians are honest, trustworthy, friendly, professional, and respectful of your home!!! We provide the price for your project before any work is completed, provide on-time service, and customer satisfaction!! Contact us today for a free replacement estimate on a new heating system or to schedule a service.